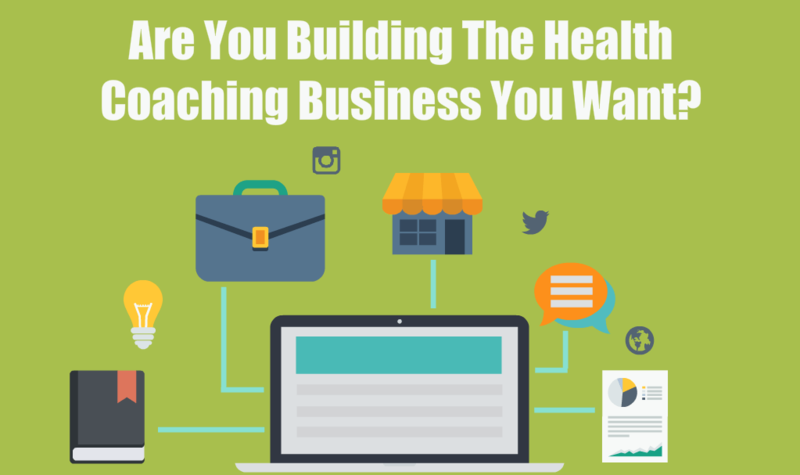 In this week’s article, I am going to take a little detour from what I normally write about, which is usually the nuts and bolts of online marketing for your health coaching business. I recently spent the weekend with a room full of 200 people who wanted to build their health coaching business online. What I discovered is that everyone has different reasons for doing this and different goals for their business. I’ll tell you my big reason for first deciding to work from home and build a business online. When I got laid off from my corporate job several years ago I made a commitment to myself to be home and available for my 2 boys when they got home from school and I would be available nights and weekends for them. I have my own specific reasons for my why just like you will. When my kids were very young I was an executive chef at a restaurant and ending up working many nights and weekends. This wasn’t such a big deal when they were pre-school since they were still home whenever I was. When my oldest entered school though, I knew things would need to change if I wanted to be there for him. So I moved back to the corporate world, you know, a “real” job. I was home every night, weekend and holiday. Everything seemed perfect, but the job was sucking the life out of me. Once again, I knew it was time for a change but that is easier said than done when you have a full life and a steady paycheck. Fortunately, the universe intervened and I got laid off a few years back. This was one of the happiest days of my life (and scariest). I knew if I just took another “real” job, I would wake up 10 years later and wonder how I got there. So I made another commitment that I would build a business that supported my lifestyle, not the other way around. This has made making some hard choices, from turning down opportunities to changing direction several times over the past 6 years, but it has really given me a good perspective on what it is that I want. I also talk to people that want to play on a much larger stage. This too, can take many forms. From building a million dollar business to becoming a celebrity author or speaker. The great thing is that none of these choices are the right or wrong one, you just need to figure out which is the right one for you. Sure, they will all take hard work. I’ve yet to meet any entrepreneur that said starting a business was easy. The actions you take today, however, will be vastly different depending on if you want to be a nationally recognized speaker or just want to make a few thousand dollars a month so you can stay home with your kids. I think that we all tend to get enamored with (at least I know I have in the past) all of the “gurus” out there saying how easy it is to build a million dollar coaching practice. First off, I don’t think any of it is easy. Doable, definitely, easy, NO WAY! What if your ultimate goal is to make $5,000 a month from your practice. Should you spend all your time and energy focused on trying to emulate the 7 figure coaches? Probably not, the problem is, most of the 7 figure coaches out there are the ones that we hear the most from. By the same token, if your goal is to build a coaching empire, by all means find someone who has done it and do what they did. Having a mentor is invaluable. I know I have been guilty of trying to do it all on my own many times and while this is an admirable quality and sometimes necessary in the early stages, it also slows the process down considerably. If I could do it all over again, back in 2005 when I built my first website (a story for another day, but it cost me well over $5 K), I would have taken that money and invested it in learning from someone who had already done what I wanted to do. And not just learning the skills (I also wasted a lot of time and money on courses) but how to implement them. If I had implemented every thing I learned in every online course I have ever taken (which would take exactly 99 lifetimes), I would probably be writing this to you from an island somewhere. No, actually, my commitment was to be home when the kids got off the bus, remember? 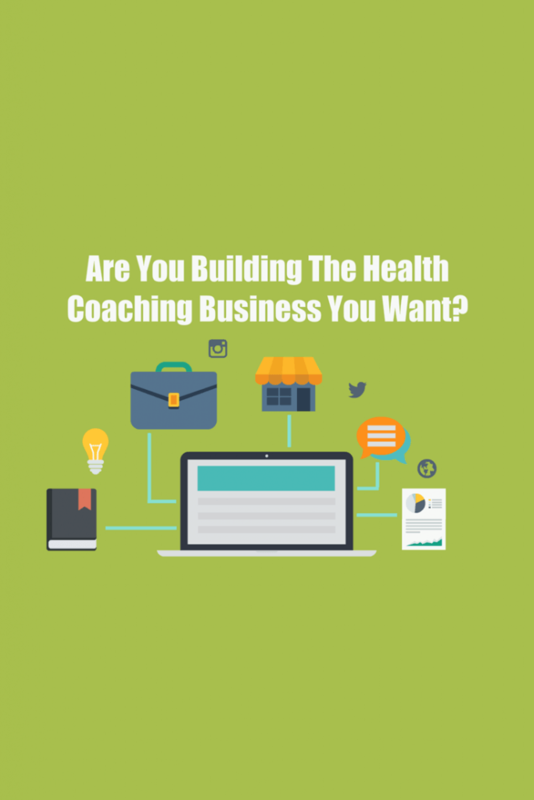 The one thing I have done well in the past 6 years is to consistently send out Health Coach Weekly and try to provide you with valuable content to help you grow your health coaching business. Whether you are still in school and haven’t gotten your first client yet or have an overscheduled practice and are trying to figure out how to scale and get some hours back in your day, I hope you find value here. I’d love to hear from you and what your goals are for your business. Just leave a comment below, and yes, it will be me that personally reads and responds. I don’t have a team of outsourcers doing this stuff, although I need to get some of that soon. They will never be my voice, respond to comments or create any of my content. I am brand new to this. I start IIN March 18 th. I’m very excited but feel like I have a million ideas in my head. I want an online business so that I can travel or move but I also feel I am more impact full in person. I have a name but no website yet. Where do you suggest that I start flushing things out? I want this to be the truest nature of me so I stay passionate and build a career that is truly rewarding. Thanks. We have all been where you are at. My advice is to get all the ideas out of your head and onto paper. Then focus on 1 thing at a time. Most IIN students start out using the website they provide, and then decide to build their own. I would focus on learning who it is you want to serve, and start building your tribe. That way when you are ready to start marketing your servicves, you will have people ready to listen. Thanks for the kind words. I think your website is off to a good start. Will need to get a compelling free offer on there. Decide who it is you want to work with, start writing more consistent content and then we’ll work on getting traffic to your site. Feel free to ask any specific questions on our private facebook group and we can setup some time to chat soon, but next couple of weeks are booked pretty solid. Geoff, I find your newsletters helpful. I am just finishing up my first year at IIN and feel like I’m spinning my wheels half the time. There is so much information out there and I get overwhelmed with it all. Between school, 5 clients, beginning my classes (cooking, sugar blues etc.) I find I am not digging into the material from DMC as much as I would like to get to it. I am also out networking and meeting with people in the area to get my name out there etc. (Just hooked up with a chiropractor that wants to use my services!) And I purchased the 10 min. pages even though I dont have a blog yet and dont know how to get it on my IIN website. I think you had mentioned you could help people get them linked up? Which is another thing I need to get to, a free gift….. Being a student of IIN, do you have any advice to put things into perspective, and how to tackle all of it without feeling pulled in multiple directions? I hear you with getting overwhelmed. I think we all suffer from that at times. My take is that as long as you keep moving forward, learning, and implementing what you learn, you will get there. As far as online goes, I think the free offer and starting to build your list are 2 of the most important first steps. It is hard to offer someone a service when you don’t have anyone to talk to. The problem with online vs. in person networking is that when you’re first starting out, it feels like you are getting no results….until you do, and you will. Once you get a free gift together, get in touch and we’ll get the ten minute pages hooked up for you. I am excited by the information you have made available. Ran into an interesting job offer from a place called face2face Gym. They have an interactive health coaching business model where members of Gyms sign up with you as their health coach. That sounds like an interesting model, gyms would certainly be a great fit to have a health coach affiliated with them. Another excellent post! Your information is credible, authentic, and trustworthy. I look forward to receiving your newsletter because I can apply the information and I see results! Thank you for the kind words Georgene! Loved the article! I identify with what you have gone through. I also tend to do things the hard way. I have to remind myself not to reinvent the wheel. Thanks Anne. I’m trying to learn that lesson as well. Another excellent article! 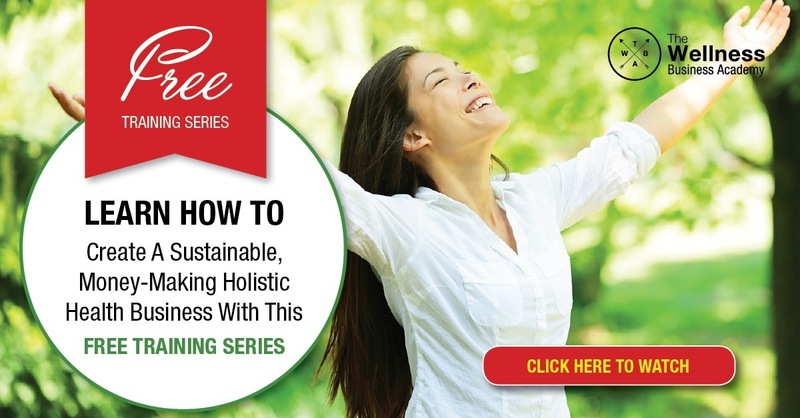 I’m building my health coaching practice step-by-step and day-by-day. It’s easy to get overwhelmed if I “forget myself” and start comparing myself to the successes of others. I’m also stuck on what my free offer should be, and just how to make that work. I’ve been pretty consistent with a bi-monthly blog and monthly newsletter. I need to get clearer on my goals, but one is to definitely grow my list. Thank you again for sharing yourself and your information. It’s greatly appreciated. I’ve done that whole comparing thing for a long time. It just hit me not long ago that why would I compare myself to some of the mega biz coaches out there. I am really good at what I do and have absolutely no desire to be in that position. My 5 year goal involves spending more time on my spiritual practice, not spending 80 hours a week on business. I really appreciate all the wonderful comments. I’m actually in tears as I write this. I’m a big believer in signs and signals from the Universe/God/Spirit. I’ve been offered a position with a budding integrative wellness practice. The position is a job, but something just doesn’t feel right. There’s not a ton of money to be made. The work is not what I want to do (more office work than seeing patients). And I have to take my 3-month old (my first child) to daycare to make a little bit more than it costs for her to go. Makes no sense. Your article today is my sign that it really it might be time to get serious about relaunching my practice (I graduated from IIN in 2006) and be a work-from-home mom as soon as possible. Thank you, Geoff, for keeping it real and touching my heart. Thank you so much for sharing that. I can totally relate, I have turned down quite a few “opportunities”. In fact, just yesterday I had to tell my largest client that I was no longer going to be able to do project work anymore for them. Felt scary, but perfectly right, now I can get busy heading in the direction I want to go, not someone else’s dream. Of course this is hard to wrap your head and heart around when you really need the money. Enjoyed the article, Geoff. I want to thank you so much for what you’ve done and are doing to help me get my business more online traffic. I’d like to have primarily an online health coaching business so I can be more mobile and not confined to a particular area, yet, I do want to have some clients that I can personally interface with in my area. This could come from a corporate account. My focus is on nutrition & food as medicine to prevent chronic disease. I’ve seen, first hand, how nutrition can powerfully revert the disease process. Yet most people don’t know that the key to good health is right there if front of them nor how to use it properly. I also envision myself speaking at various events on nutrition and health. This is basically how I envision my health coach business. Just need some guidance to help keep focused and increase my knowledge in marketing. You are very welcome, glad my info is of service to you. Sounds like a good plan, the first step is to decide who it is you want to serve and start building an email list, to do that you need to pick a niche and then come up with a free offer for them to exchange their name and email for. I have just developed a full-service health, nutrition, and fitness website and I am looking for the most cost-effective and efficient way to market it and obtain some clients real quick. I am also looking to make it a legal LLC, and just wanted your opinion on how I should go about doing that. Thank you, and your hard effort and work is much appreciated! The quickest way to get clients is to do an event, either live or online, some sort of health / fitness presentation, teach some great stuff and offer a free consultation at the end. Longer term, I would change up your home page to be more focused on what you can offer and some sort of free gift to get people on your email list, that is where you will “sell” your potential clients. Having a bunch of affiliate links on the home page is actually counter productive usually unless your model is to drive tons of traffic to the site. A couple are OK, but make your free gift where they give you their email in exchange the primary focus. I’m about to start school for health coaching and was wondering what you recommend to start off doing first while still in school. hi Geoff, I’m finishing my certification as health coach and browsing through your posts – very interesting info you’re sharing here! as a total new coach, I’m going through deciding on my starter niche! I’m orienting myself to help busy professionals over 40 transform their energy before burn out. Indecision is still trying to make me doubt whether this is a $1,000 problem for people to solve (vs a $1 problem) but I know I need to make a decision so I can take action and move forward. The question of what type of coach we want to be is so important indeed! I see myself having a private practice of one on one clients mainly. But maybe trying coaching groups as well … who knows I may end up liking this more. My main concern right now is 1) preparing presentations on a few subjects, 2) contacting companies or places to book talks to be in front of people and being able to invite them to have a discovery session with me.